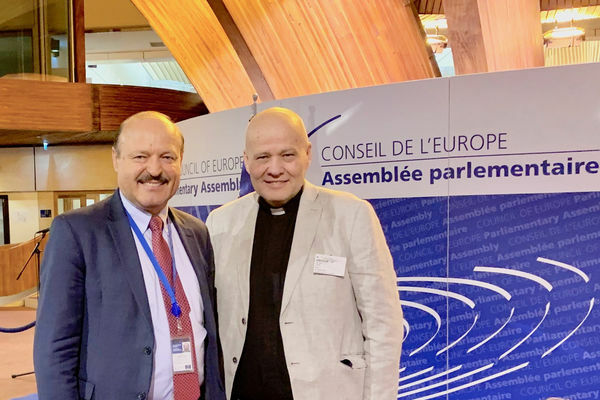 The Norway-based Christian Coalition World (KKN), which is led by EAL´s President Jan-Aage Torp, has announced that Dr. Valeriu Ghiletchi is the recipient of KKN´s Family Defense Award for 2019. The award bestowal will take place on Friday, April 26th at 20:00 (CET:Norway time) in a live broadcast on TV Visjon Norge, Scandinavia´s largest Christian TV channel. The award ceremonies in 2017 and 2018 also took place on TV Visjon Norge. The award winner in 2017 was the Romanian-Norwegian Marius & Ruth Bodnariu family. In 2018 the award was received jointly by Katarzyna Jachimowicz of Norway-Poland and the Ordo Iuris Institute of Poland, represented by the President, Jerzy Kwasniewski. The official reason for giving the 2019 award to Dr. Ghiletchi of Moldova will be published before the award ceremony. He is well known for his work as the official rapporteur of the Parliamentary Assembly of the Council of Europe (PACE) on Barnevernet in Norway and Child Protection Services in other nations of Europe. Ghiletchi is a pastor in Moldova´s capital city, Chisenau, and has served as the President of the European Baptist Federation. He has until now served as the Vice President of Moldova´s Parliament, and is acknowledged Europe-wide as a spiritual and ideological leader.